Beazer Homes Sacramento takes home the #1 Quality of Construction award at the QB Builder Awards 2019, based off of inspection data collected by third party QA industry experts, Quality Built. We are very proud of both our internal team, trade partners, vendors and consultants. This was truly a team effort that resulted in Beazer earning this prestigious award for our quality of construction. Over 185 international builders, product manufactures, and insurance companies gathered at the Stratosphere Casino, Hotel & Tower in Las Vegas, NV for the unveiling of the 2019 Quality Built (QB) Builder Awards. Beazer Homes Sacramento was awarded first place for the Quality of Construction Award for Full-Scope QA Inspections. 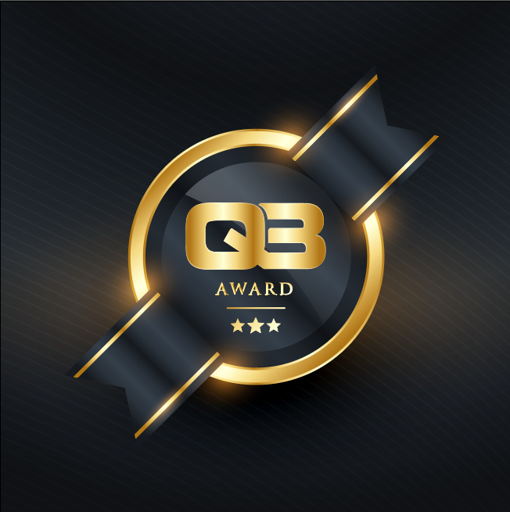 The annual QB Builder Awards is hosted by Quality Built, LLC, the nation’s leader in third party QA inspections and risk management solutions for new building construction, to recognize builders in their program who consistently build to a high level of quality. These builders consciously strive to raise the bar by utilizing QB’s proven system to measure their performance and pursue continuous process improvement. To qualify for the first place award, builders had to build at least 50 units annually, enrolled in the QB program for three years, and maintain consistent quality of construction spanning across all projects within their division. The Full-Scope QA Inspections is among QB’s most comprehensive services and addresses the foundation (pre-pour), windows pre-wrap and post-wrap, exterior frame, balcony waterproofing, weather resistive barrier (WRB), lath, siding, flashings, mechanical, electrical and plumbing (MEP)/rough trades - interior frame, roof dry-in and roof final. Headquartered in Atlanta, Beazer Homes is one of the country’s largest single-family homebuilders. The Company’s homes exceed the benchmark for energy-efficient home construction, as established by ENERGY STAR® and provide Surprising Performance, which means more quality, more comfort, and more savings every month. In addition, Beazer homes are designed with Choice Plans™ to meet the personal preferences and lifestyles of its buyers, and offers a Mortgage Choices program which provides a range of preferred lender choices to facilitate transparent competition between lenders and enhanced customer service. The Company offers homes in Arizona, California, Delaware, Florida, Georgia, Indiana, Maryland, Nevada, North Carolina, South Carolina, Tennessee, Texas and Virginia. Beazer Homes is listed on the New York Stock Exchange under the ticker symbol “BZH.” For more information, visit http://www.beazer.com or check out Beazer on Facebook (https://www.facebook.com/beazerhomes/), Instagram (https://www.instagram.com/BeazerHomes/) and Twitter (https://twitter.com/BeazerHomes). Quality Built, established over 25 years ago, is the United States’ largest and most respected third-party quality assurance inspection and risk management solution provider for new building construction. Backed by a team of architects, engineers and inspectors averaging 20 years of experience in the industry, QB has developed a powerful software platform that addresses construction risk, encourages collaboration and delivers qualitative and quantitative data – allowing builders to effectively make informed business decisions. QB’s inspection capabilities cover all phases of construction and include but are not limited to: Technical Plan ReviewsTM, Geotechnical Consulting, Building Envelope Inspections, Quality Assurance Inspections, Property Condition Assessments, ASTM/AAMA Water Testing, Fit and Finish Inspections, and more. The Holmes Group is an international brand with operations in independent media production, new-home building and home inspection, residential construction and renovation, as well as product development. The Holmes Group is responsible for developing and managing all HOLMES branded entities, including Make It Right Productions Inc., Make It Right Releasing, HOLMES Approved Homes, MIKE HOLMES Inspections, HOLMES Approved Products, HOLMES Workwear and supporting the skilled trades through The Holmes Foundation.